A pig walks into a bar...ten chefs cut him up and make you dinner. 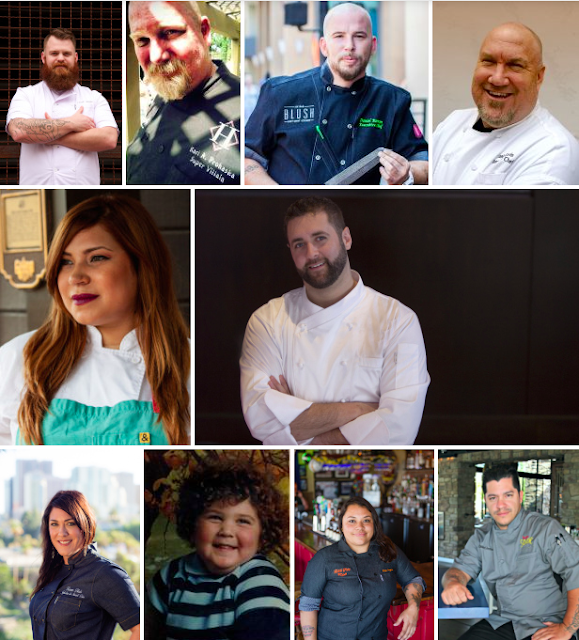 On Monday, October 12, ten of San Diego's premier chefs will join forces at Blush Ice Bar for a hog wild event like no other. The second incarnation of the Heavenly Hog Fall Pig Out will feature ten courses of porky pleasure, as each of the ten local chefs blindly selected a part of the pig to feature in their dish, ensuring nothing goes to waste. And if ten courses of swine weren't enough to entice, each dish will be paired with a boozy beverage of the chef's choosing, enabling each chef to fully craft the experience for their course. So who are the ten participating chefs, and what part will they be cooking? The random selections have been made (over much alcohol we presume), and Chef Hanis Cavin of Carnitas' Snack Shack will kick off the evening with the ham shank. Course 2 will be taken on by Chef RoseAna Peyron of The High Dive who will utilize the trotters. Mikel Anthony of Savoie will next prepare the coveted pork loin. Course quatro will be the pork shoulder prepared by former R Gang Eatery and Florent chef Rich Sweeney. Next up will be the innards and offals by the Culinary Freight Train himself Karl Prohaska. Karen Barnett Blair of Small Bar and Monkey Paw will prepare the fat for the sixth course. Chef Ami Cisneros of The Hopping Pig will prepare the ears. Host Chef Daniel Barron will use the ribs for the eighth course. Chad White of Comun will use the skin for the ninth course, and Chef Jeff Bonilla of Garnish Pastry may try his hands at dessert with the pig's head to finish the meal. Nate Soroko from Toronado SD will assist the chefs in pairing beverages. Cook Pigs Ranch will be providing the swine for the meal. "I'm really excited about this event. Not only does it showcase the beauty and versatility of artisan pork, but this group just really likes hanging out together," explained Chef Karl Prohaska, who founded the inaugural Heavenly Hog Fall Pig Out in 2013. "This group is the heart of collaborative cooking and a fine group of ne'er do wells." Each and every participating chef loves pork and this culinary romance is certain to shine through their respective dishes. Only a limited number of tickets to this pork extravaganza will be sold at the cost of $130 per person, which includes beverage pairings. The pairings will be stunning and this night will truly be one of a kind. Blush Ice Bar is located at 555 Market Street in downtown San Diego. 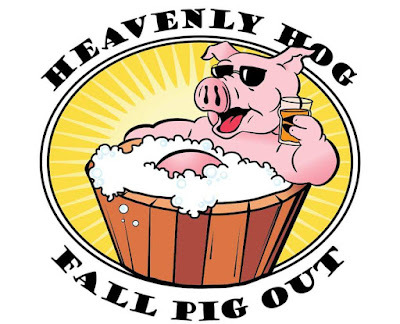 Get your tickets to Heavenly Hog at ticketsauce.com/e/heavenly-hog-fall-pig-out-2015.